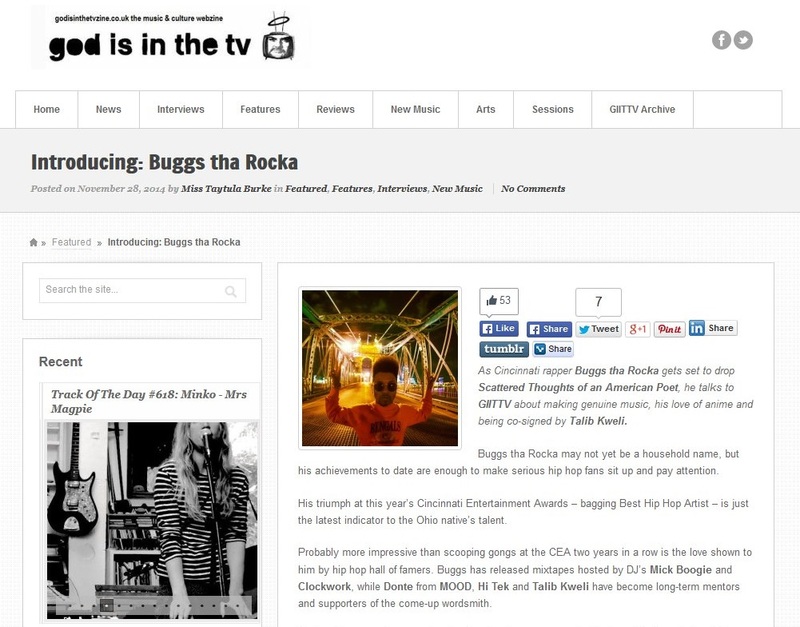 Cincinnati hip hop MC Buggs tha Rocka sat down with the UK’s online multi genre magazine Shout 4 Music recently to discuss his new album “Scattered Thoughts of an American Poet” which releases on 10th December 2014. Th feature delves into the recording process, and working with producers such as !llmind, Jake One, Hop Trax and Sal Dali, and having guest appearances from Tanya Morgan, MOOD, Chuck Inglish and Piakhan. They also address his early days starting out in music, ultimately coming up through the levels to receive the title “Best Hip Hop Artist” at this year’s Cincinnati Entertainment Awards. 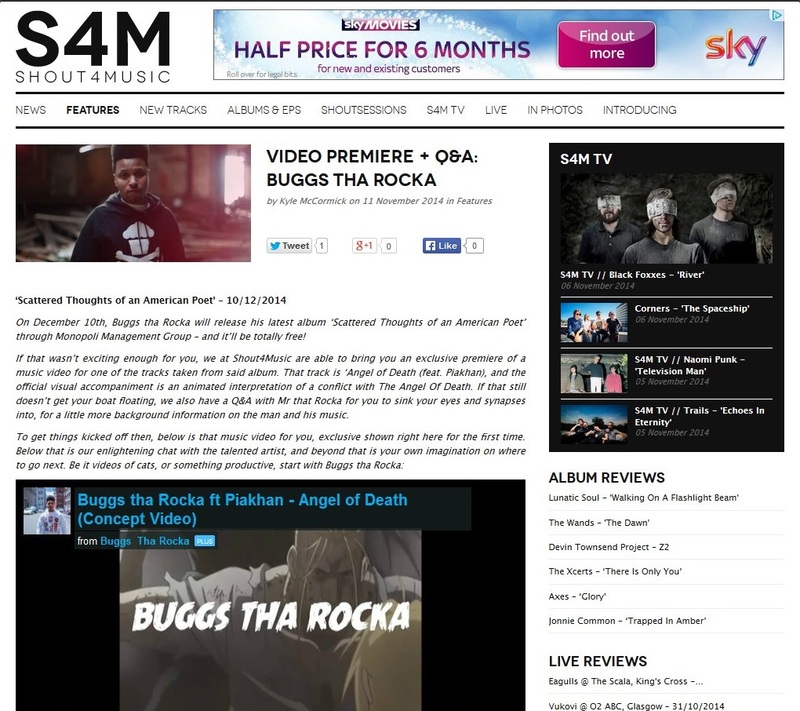 The article was published today, 11th November 2014, with the premiere of his new concept video for the track “Angel of Death” which was produced by Hop Trax and features Piakhan. Any djs not already serviced with the full quality clean radio edit of “Angel of Death” can request the mp3 from UrbanElite PR HERE Similarly, any press & media inquiries regarding Buggs tha Rocka, requests for promotional copies to review or requests to interview the artist should also be sent to UrbanElite PR at the above point of contact. 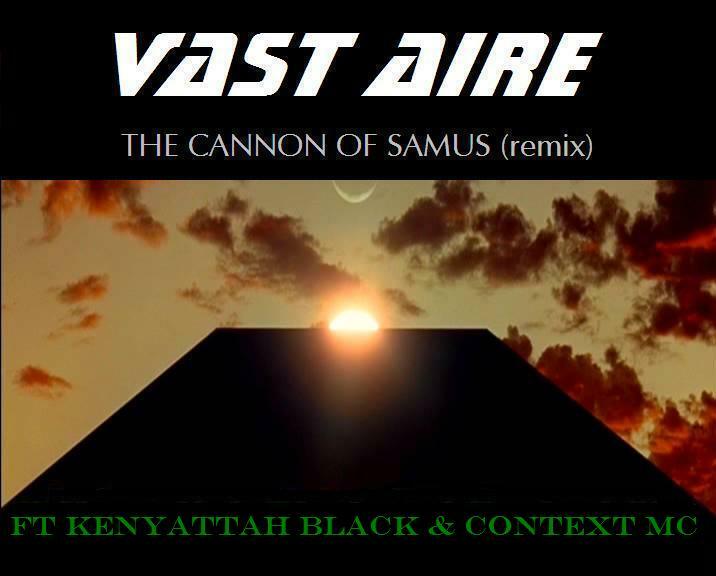 A new August 2011 exclusive remix of Vast Aire’s “The Cannon of Samus” featuring Kenyattah Black & the UK’s Context MC. Produced by AreWhy, the original version appears on Vast’s album Ox 2010 : A Street Odyssey out on Man Bites Dog Records now. 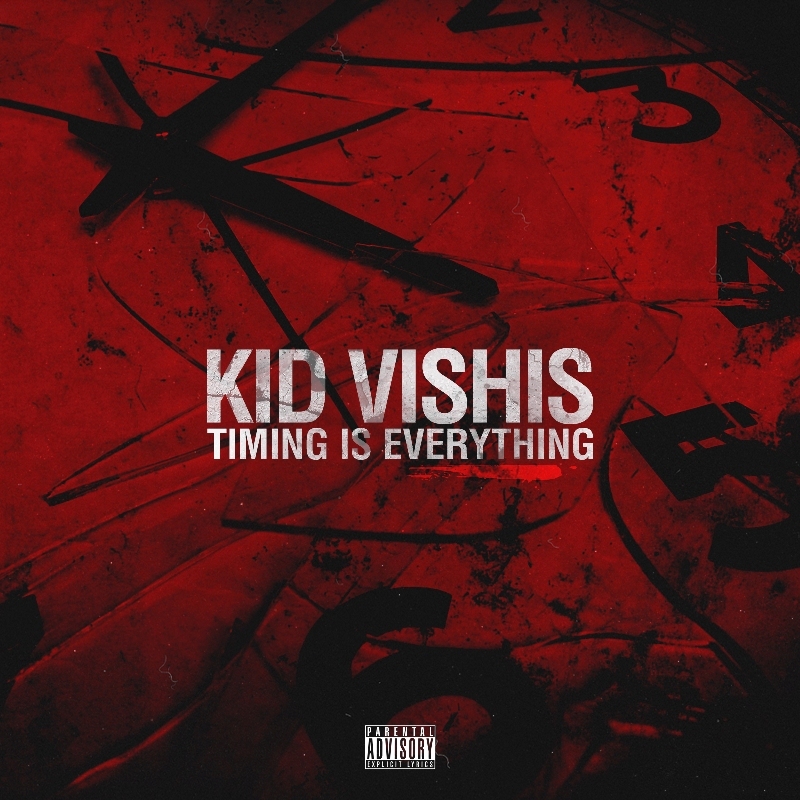 The album also includes features from Cappadonna, Raekwon, Vordul Mega & Guilty Simpson on The Verdict, a track which also recently had a recent UK remix featuring Haze from Eurogang.